We wish all the best in 2016 to all our readers! This entry was posted in Life and tagged 2016, Christmas Tree, Christmas Tree Candles, Happy New Year. Bookmark the permalink. To both of you too! Thanks, Rick! Hope to see more of you in ’16…. Here in Oaxaca people say “igualmente”! Happy New Year! Lovely photo! Best wishes! No worries, Vlad. Out of curiosity, did my comment end up in your Spam Folder? Yay, HAPPY NEW YEAR to you guys too! Here’s to 2016!!! Happly New Year Everyone !!! Thanks, Cate, and the same to you!! Thanks for a year of stunning photos and stories that are always a good read. I always look forward to your posts! Happy New Year. Thank you so much! Happy New Year!! Best wishes for a Happy New Year to you two as well! Thank you, and the same to you!! Wishes of a Happy New Year from New York. Thanks for reblogging, and have a wonderful New Year! 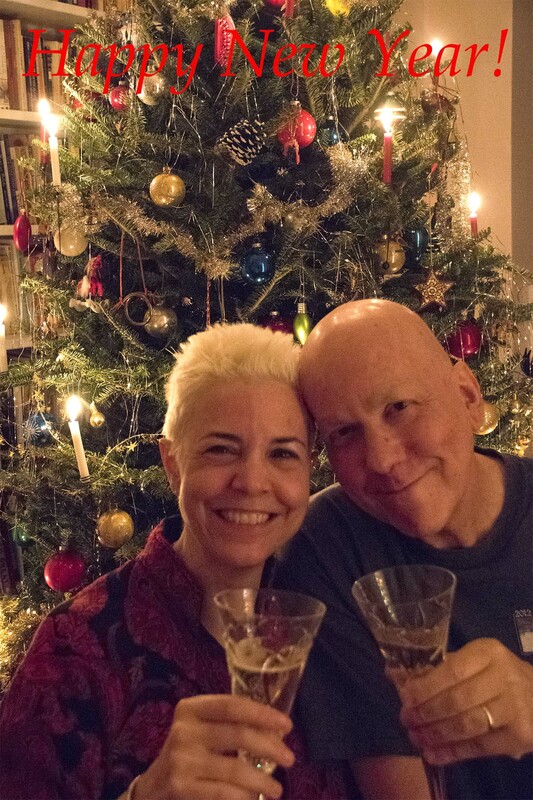 A belated Happy New Year to you both – the photo is so cute – happy travels and exploring…. Thank you so much! All the best in the New Year to you too!! Happy New Year to both of you and your loved ones!!!! Lots of health and love! Heartfelt happy holidays! Great picture. You are both adorable! Thank you, Brenda! :-) Happy New Year!! Thank you for another year of joy, amazement at the stunning photos and the sharing of your adventures. May you both be blessed with health and adventure in 2016. It’s been such a pleasure to be one of your “peeps”. Thank you so much! We’ll do our best to keep it up in 2016 :-) Happy New Year!! Oh! that’s a dream of a picture to treasure. Happy New Year to you both – and many more of them. Happy New year to you both! What a wonderful photo! Thank you—Happy New Year to you too!! Thanks, Naomi! And the same to you!! And the same to you, Ailsa—hope your 2016 is going well! !